First grade students at Fairgrieve Elementary School recently held a very special reading celebration. 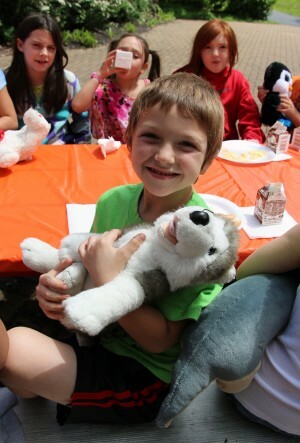 Matthew Yawn Jr. brought his stuffed puppy to the “Teddy Bear Picnic” at Fairgrieve Elementary that was held to celebrate reading. 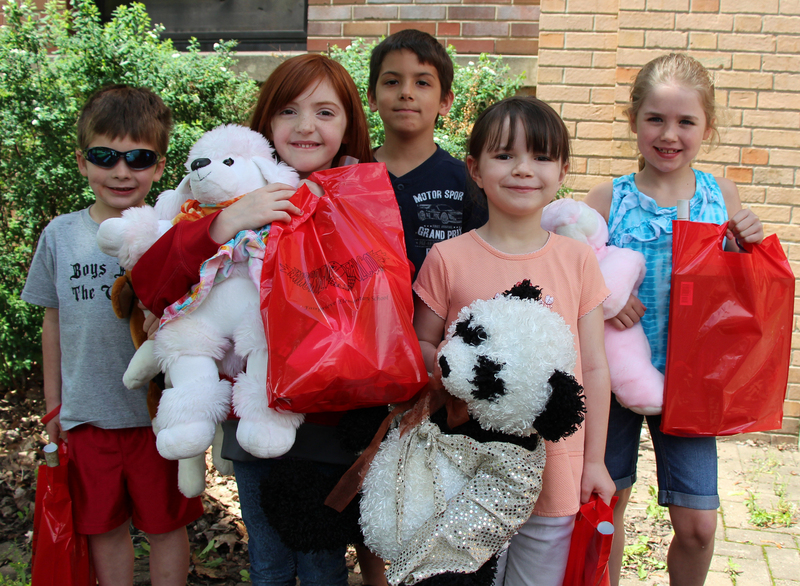 School Librarian Barb Senecal honored the first grade students for their reading achievements and their participation in the Accelerated Reader program this school year with a Teddy Bear Picnic. Students brought their favorite stuffed friend to enjoy an outdoor picnic all in the celebration of reading. Top AR point earners from Fairgrieve’s first grade received special recognition in front of the entire school during a recent morning express program and all students in the grade level participated in the picnic luncheon. The picnic was held in the school’s courtyard and the students enjoyed a special picnic lunch, followed by a sweet ice cream treat. Top Accelerated Reader point earners for grade one pictured left to right are: Hunter Aldasch, Skyy Smith, Aiden Barriger, Megan Gates, and Carleigh Patterson. Students in first grade participated in a special Teddy Bear Picnic at Fairgrieve Elementary to celebrate reading. 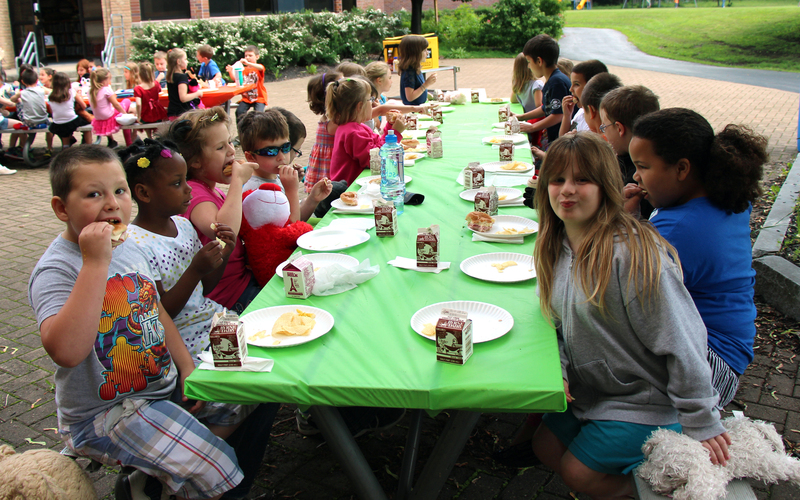 Students in Mrs. Pelcher’s class enjoy their picnic lunch recently at Fairgrieve Elementary School where the first grades participated in a Teddy Bear Picnic.